Beaches are the primary attraction for anyone planning a trip to Goa. While there’re a few very popular ones like Baga, Candolim, Colva etc, Goan coastline is full of several interesting but lesser popular beaches. In this post, I am writing about some of the beaches I had explored in Goa, during my Aug 2014 trip to Goa. This one is a gem of a beach, located near Japanese Garden, Mormugao. There is also a Durgamata Shiv Mandir nearby. One can enjoy scenic view from top of the hill, take a series of steps to go down to the beach. There’s no specific name for this beach in the Google maps and it doesn’t get listed as a top beach in Goa to visit in any of the lists, still I find this spot very inviting. It is extremely serene, scenic, less crowded and definitely worth a visit when in Goa. To reach here, search for Japanese garden in maps, then take steps down. This beach is special because of projected fort structure that extends into the sea. Located next to Vivanta by Taj, Sinquerim beach’s protruded fort structure is very popular among tourists. On a good day, waves splash on to you at the fort and can be quite an experience.Do stopby while visiting Fort Aguada. Sinquerim beach is very close to Candolim Beach. The most popular beach in Goa. With lots beachside shacks that sell drinks and snacks, Baga beach is very popular among tourists who wish to simply relax by the beach. Adventure activities such as para sailing, Banana boat ride etc can be enjoyed at Baga during evening time. Because of heavy commercialization, parking fee applies here and also food is overpriced. Be cautious about touts also. Sernabatim is another beach popular for adventure activities. Para sailing, banana boat ride, Jetski ride and many other activities can be tried here. I had visited this beach during SOUL drive earlier this year and indulged in jetski ride. There are a few outlets serving drinks and snacks here. This beach, near Dona Paula is very ideal to sit down and indulge in heart to heart talk with your loved one. The waves are calm and inviting. These are just a few of hundreds of beaches along the Arabian coast line in Goa. While some are good for relaxing, few are good for swimming and adventure. Some others beaches must be visited for their sheer beauty. 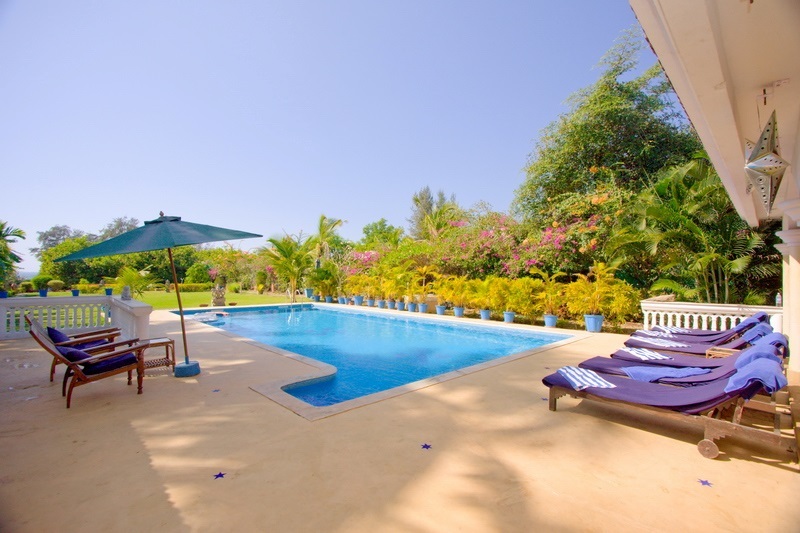 Most of these beaches have luxury villas closeby, which you can rent and enjoy your goa holiday in style. Most beach side villas offer private beach area, which means there will be little disturbance from general public and less intrusion to privacy. Click here for more details on beaches of Goa and Goa Villa that you could book. Japanese beach is a quiet beach in a quiet location. I visited too but till-date wanted to know any particular reason to name it as Japanese beach or is it just a name.